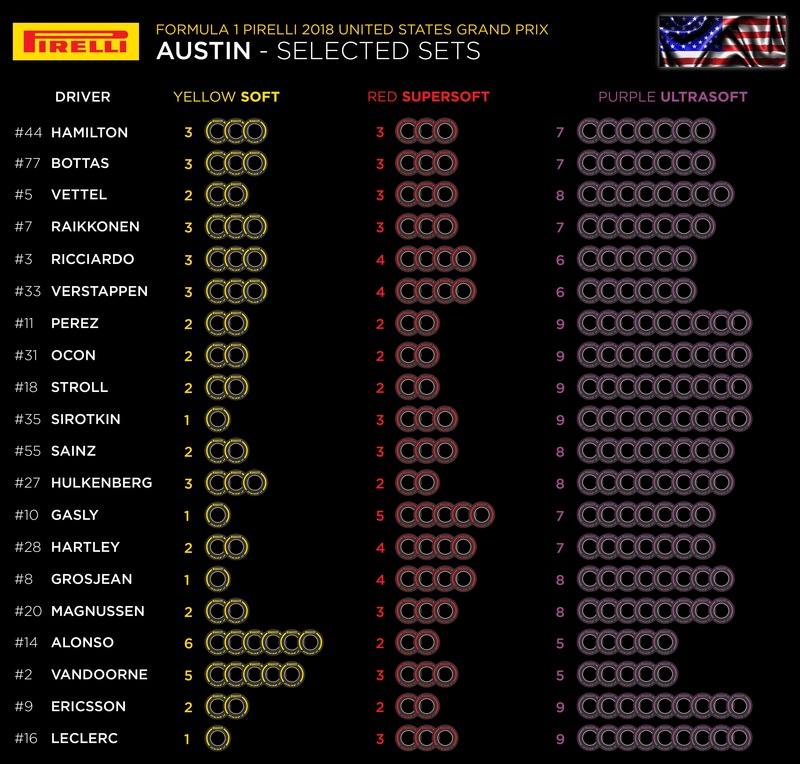 The US Grand prix is the 18th round of the 2018 Formula 1 World Championship. This 5.513-kilometer (3.426-mile), 20-turn circuit has hosted Formula One since 2012. 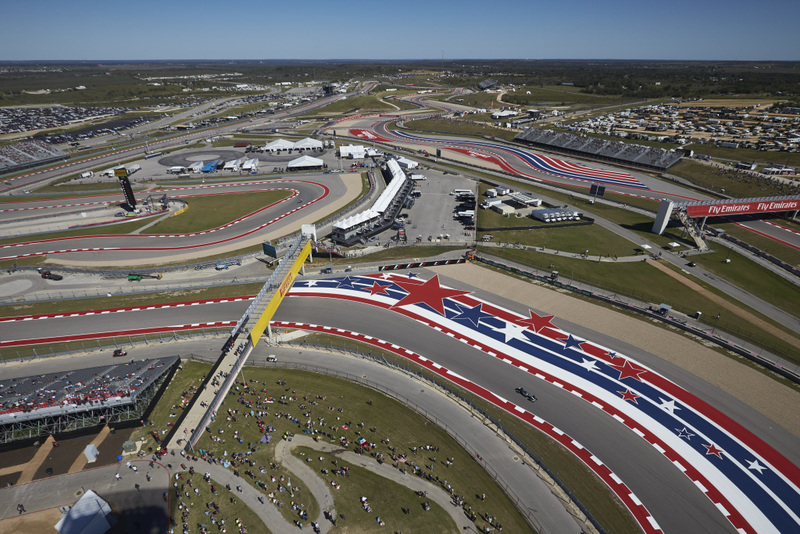 Last year’s United States Grand Prix served as the venue’s sixth grand prix. Sebastian Vettel holds the race lap record at COTA (1:37.766), set last year with Scuderia Ferrari. Lewis Hamilton holds the qualifying lap record at COTA (1:33.108), set last year with Mercedes in Q3. When it’s RACE WEEK… ? 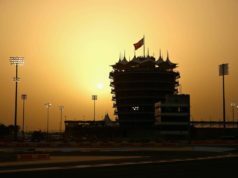 It is a counter-clockwise circuit – one of only five on the 21-race Formula One calendar, joining Azerbaijan, Singapore, Brazil and Abu Dhabi. Just 14 per cent of a lap around COTA is spent under braking. Drivers are at full throttle for nearly 60 per cent of their lap. High speed and rapid changes of direction comprise the layout between turns two and 10, with this first sector akin to the Maggotts-Becketts-Chapel complex at Silverstone Circuit in England. The end of the lap from turn 12 through turn 20 before hitting the frontstretch features low-speed combinations of mainly second-gear corners. The long backstraight, however, prevents teams from running maximum downforce as drivers want to retain as much speed as possible to either attack or defend through the tight turn 12. This corner, along with the uphill run to turn one and the hairpin in turn 11, provide good passing opportunities. Eleven times from 1950 to 1960, points scored at Indy were added to a Formula One driver’s season tally. 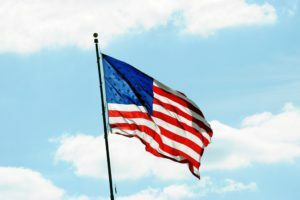 And in 1959 America hosted two Formula One races when in addition to Indianapolis, the United States Grand Prix was held at Sebring (Fla.) International Raceway. It served as the ninth and final round of the 1959 season. In 1960, Formula One moved to Riverside (Calif.) International Raceway before finally settling down for a 20-year tenure at Watkins Glen (N.Y.) International from 1961 to 1980. From 1976 to 1980, Watkins Glen was joined by Long Beach, California, on the Formula One schedule, with the United States Grand Prix West taking place until 1983. The Caesars Palace Grand Prix took place on its hotel parking lot. In 1982, America hosted three Formula One races. Then in addition to Long Beach and Las Vegas, Detroit had a place in the schedule. Detroit hosted Formula One on a bumpy street circuit for seven years, with its last grand prix coming in 1988. Dallas made a one-race appearance in 1984 when Fair Park converted to a Formula One circuit for the Dallas Grand Prix. Phoenix was next up for Formula One from 1989 to 1991 before a nine-year absence of the sport from America’s shores. 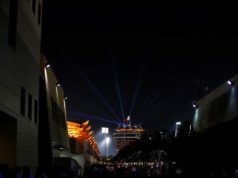 But then Indianapolis Motor Speedway president Tony George built a road course within the confines of the historic 2.5-mile oval and Formula One returned with the United States Grand Prix at Indianapolis from 2000 to 2007. Ayrton Senna is the only #F1 driver to win the same Grand Prix five years in a row ? 1989, 1990, 1991, 1992 and 1993 at Monaco ?? @LewisHamilton won the #USGP in 2014, 2015, 2016 and 2017 ?? It wasn’t until COTA was constructed in 2011, becoming the first purpose-built Formula One facility in the United States, that Formula One was able to return to America with the 2012 United States Grand Prix. Since then, COTA has been America’s one and only home for Formula One. During the course of the United States Grand Prix, lows will range from 15-17 degrees Celsius (59-63 degrees Fahrenheit) to highs of 20-22 degrees Celsius (68-71 degrees Fahrenheit). Relative humidity ranges from 37 per cent (comfortable) to 92 per cent (very humid), with a dewpoint varying from 7 degrees Celsius/44 degrees Fahrenheit (dry) to 18 degrees Celsius/64 degrees Fahrenheit (mildly humid). The dew point is rarely below 2 degrees Celsius/35 degrees Fahrenheit (dry) or above 22 degrees Celsius/71 degrees Fahrenheit (very muggy). Typical wind speeds vary from 0- 24kph/0-15 mph (calm to moderate breeze), rarely exceeding 31 kph/19 mph (fresh breeze). The key to this corner is the 40-metre elevation change on the approach. This incline increases the load on the car by 0.4g, giving the drivers more grip and allowing them to brake very late. More than 85 per cent of the load is then scrubbed off by the apex, making the cars very loose and difficult to control. Most demanding section Sector One. As was the case at Suzuka last time out, the opening section of the Circuit of the Americas is fast and furious. Eight of the opening nine corners involve fast changes of direction, with a slowest apex speed of 185km/h (115mph). 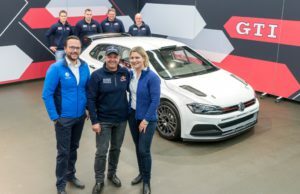 The drivers compare the challenge to Becketts and Maggotts at Silverstone. 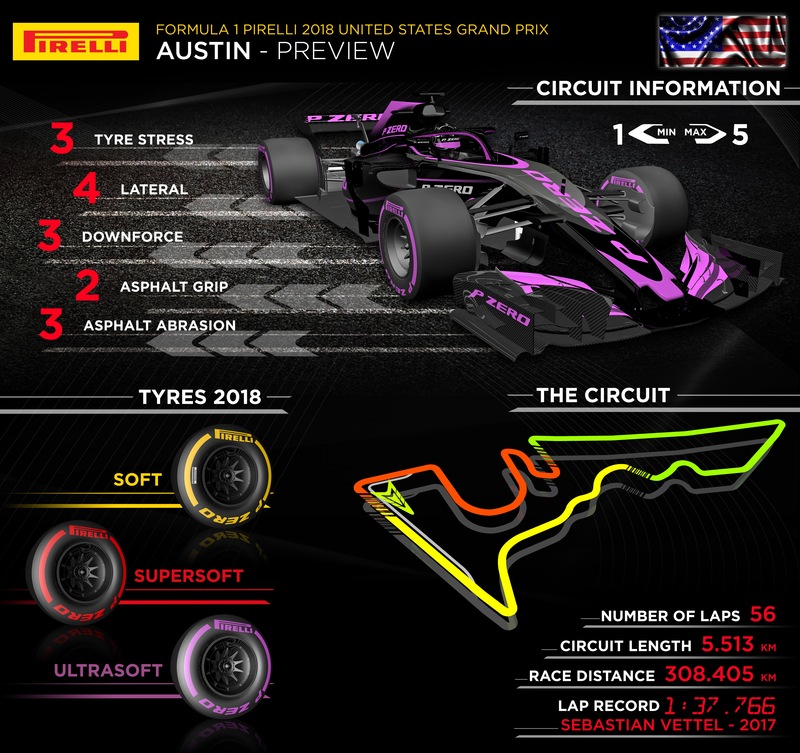 COTA has more fast corners than Spa-Francorchamps and more slow corners than the Hungaroring; as a result, car set-up is a delicate balance between slow-speed grip and straight-line speed. Braking COTA presents an average challenge for the brakes, similar to the Shanghai International Circuit in China. The drivers apply the brakes at 10 of the 20 corners, with an average deceleration of 3.8g. Power The cars use 1.8kg of fuel per lap, with 63 per cent of the time spent on full throttle. Aero High downforce. Seven of the 20 corners are taken at speeds of less than 150km/h (93mph), which places an emphasis on slow-speed grip, particularly traction at corner exit. Having DRS zones along the two longest straights help to eliminate the extra drag at high speed.